The New England News Collaborative is telling stories of our connected and rapidly changing region. The NENC is an eight-station consortium of public media newsrooms. Our multimedia coverage delves into energy usage, climate, transportation, infrastructure, and stories of people and immigration affecting the region. 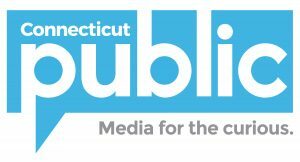 The NENC includes Connecticut Public Broadcasting Network, WBUR, Maine Public Broadcasting Network, New Hampshire Public Radio, Vermont Public Radio, New England Public Radio, The Public's Radio, and WSHU Public Radio. The Executive Editor of the NENC is John Dankosky, who sees a lot in common among all the New England states, including geography, history, political organization, and personal ties.